Open every day for dinner. Located at 1906 Van Ness Avenue, between Washington & Jackson street. 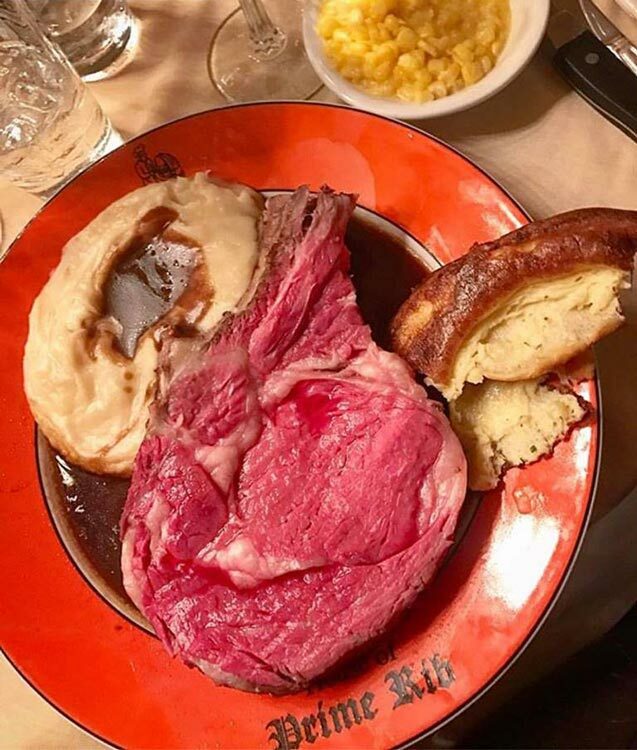 "House of Prime Rib has many times been imitated, but never duplicated"
The House of Prime Rib serves well-marbled Prime Rib in the English Tradition. 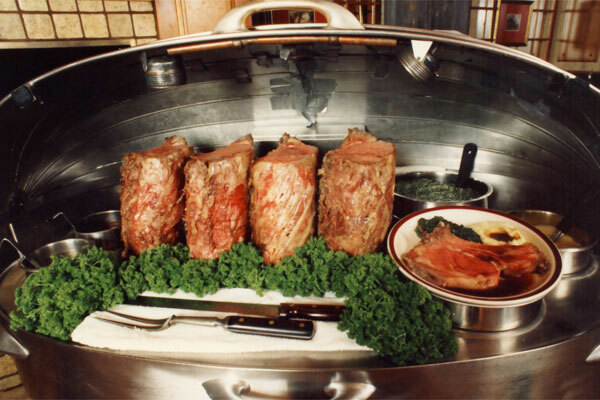 Pur Prime Rib is carved at your table, to your specifications, from our unique stainless steel carts. We serve only the best beef available, the top 2% of all beef marketed. 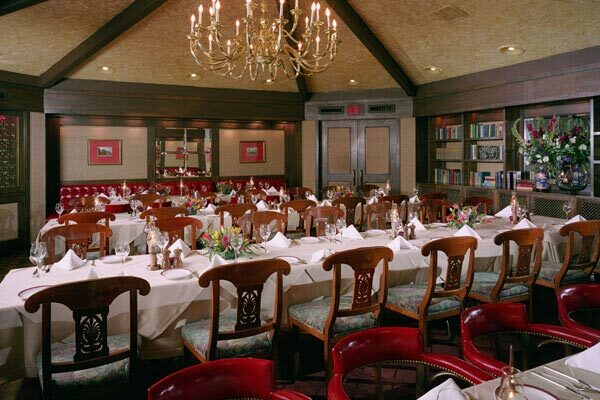 If you would like to book a party or large gathering, have your next special event at the HOPR. Our Banquette Room seats 20 to 70 people. 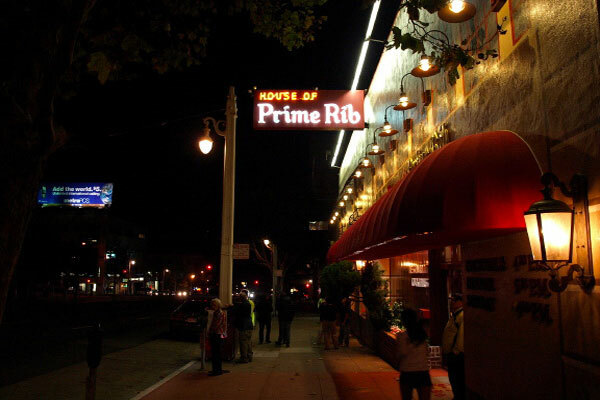 House of Prime Rib is a San Francisco Landmark. Our juicy and delicious Prime Rib is made from the highest quality corn-fed beef available. 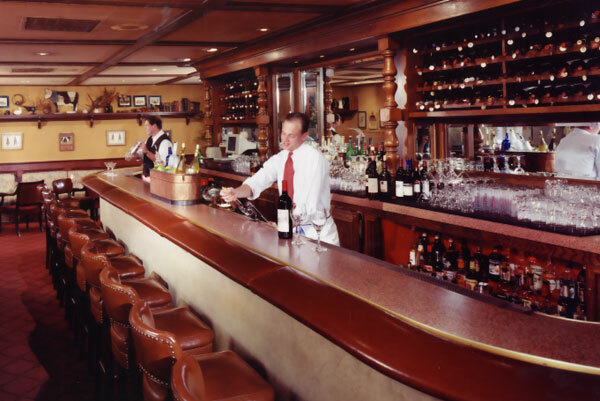 The Cocktail Lounge is a great place to start your meal at the House of Prime Rib, but it is also an excellent rendezvous when meeting friends. 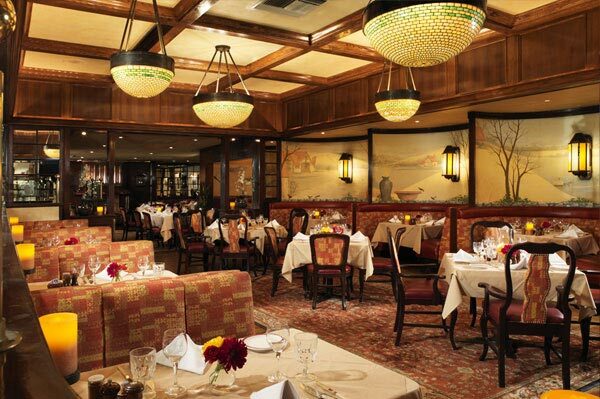 The decor at the House of Prime Rib is traditional, in the English Style. 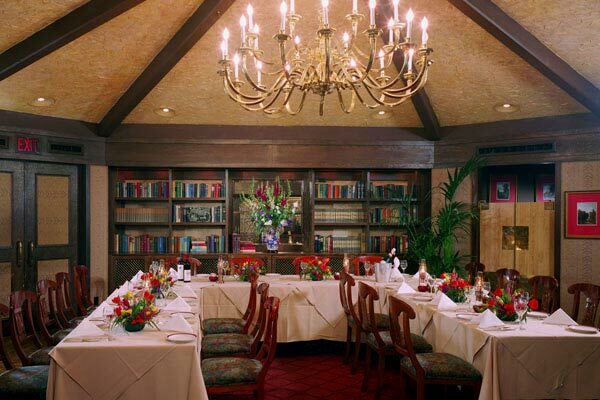 Our dinning rooms have a warm and cozy atmosphere that is enhanced by the fireplaces in the restaurant. 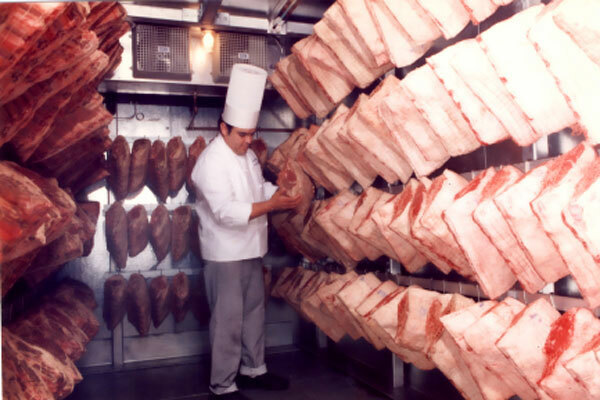 Our Chef constantly seeks out the finest beef ribs, and brands them for our own refrigerators. 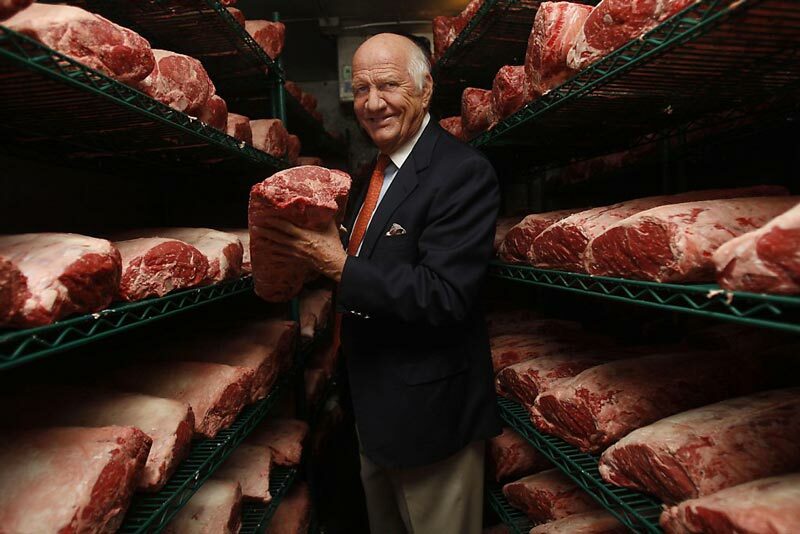 He judges for quality, for perfection in firmness, texture, color, and for the presence od marbling in the lean red meat. Our timimg is precise. The method is tested, and the result is the ultimate flavor and tenderness. 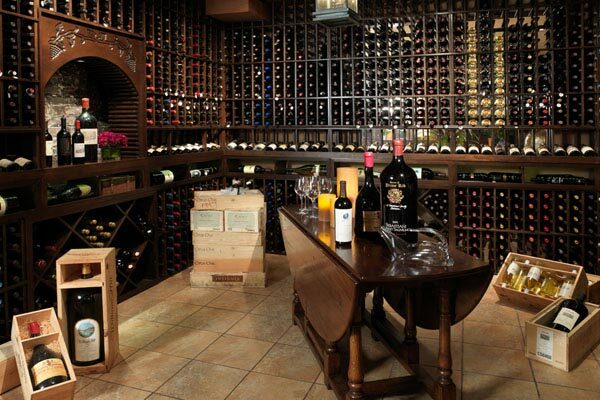 Meticulously prepared meat is aged for 21 days, making it especially tender, juicy and flavorful. 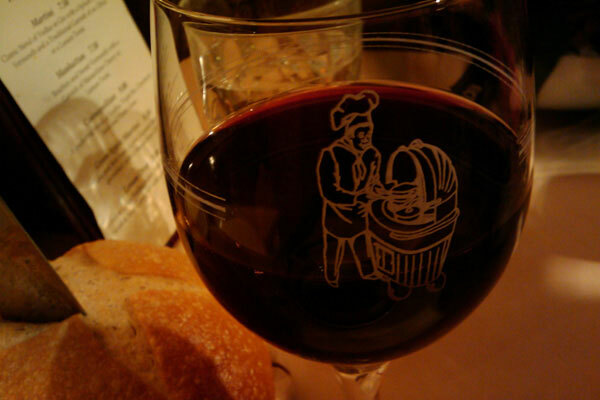 The carving must be deft, and "short the time from cart to plate". 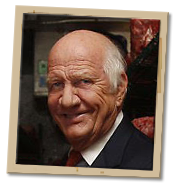 Our roasts are carved to your individual order and in your view. 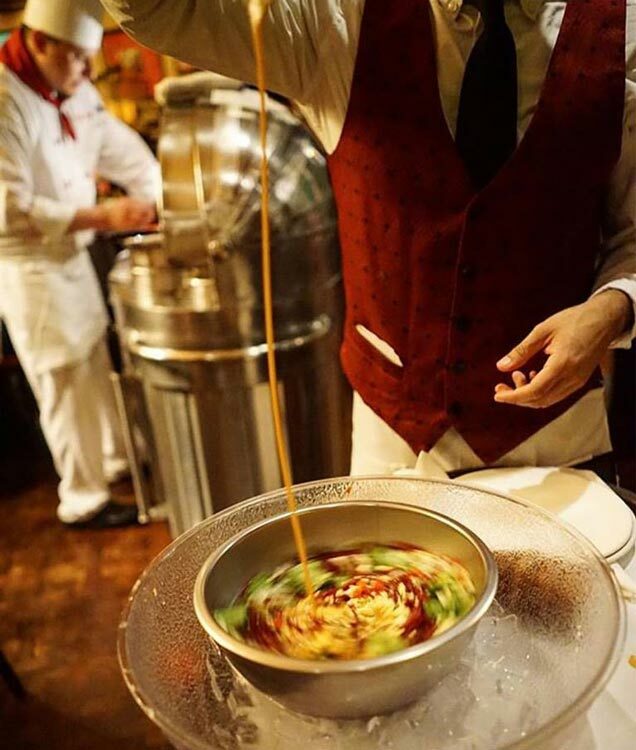 from our specially built carts, and served piping hot. Producing roast of beef to satisfy discriminating tastes is truly an art. We use an old English formula of blanketing the rib in coarse rock salt. 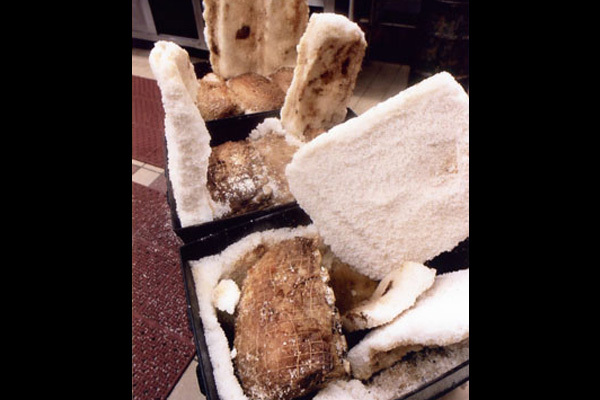 This insures that the joint comes from our ovens with all of its fragrant natural essences sealed in. 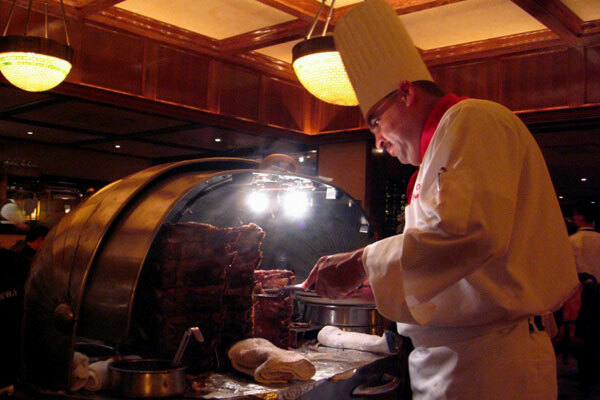 Our Roast Beef : Carved at your table, to your specifications, from our unique stainless steel serving carts. 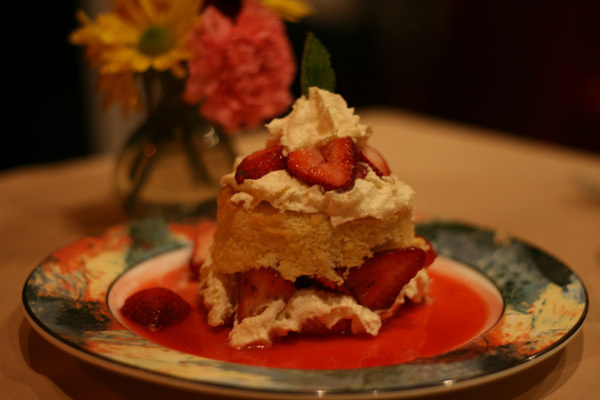 The City Cut : a smaller cut for the lighter appetite. House of Prime Rib Cut : a hearty portion of juicy, tender beef. The English Cut : some feel that a thinner slice produces the better flavor. King Henry VIII Cut : extra-generous, thick cut of prime beef, for king size appetites. Fresh fish : Ask your server for today’s special catch and price. The Salad Bowl : A colorful mixture of healthy, crisp, seasonal greens prepared at your table, tossed in our unique house dressing. Mashed Potatoes : A generous steaming helping of the all American favorite, served with thick brown gravy. Or Baked Potato : A superior sized Idaho potato served with butter and sour cream, with a sprinkle of chives. Yorkshire Pudding : Straight from merry olde England! Light, airy batter baked to a golden brown dome, with a fluffy interior to soak up those savory beef juices. Creamed Spinach : A light dish of garden spinach whipped with fresh cream and pieces of bacon. Green Apple Martini : Vodka and Bols Sour Apple Liqueur shaken and garnished with a Maraschino Cherry. Lemon Drop : Absolut Citron Vodka shaken with Triple Sec and Sweet & Sour. Garnished with a sugared rim. 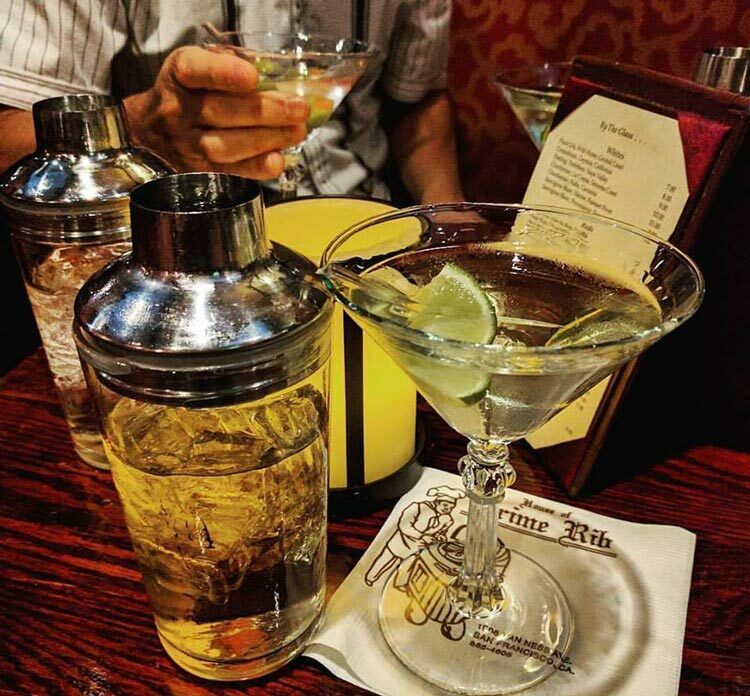 Martini : Classic bled of Vodka or Gin with a Splash or Dry Vermouth and a Traditional Garnish of an Olive or a Lemon Twist. Manhattan : Bourbon and Sweet Vermouth with a Garnish of Maraschino Cherry or Lemon Twist. Cosmopolitan : A puckering blend of Vodka, Triple Sec, Cranberry Juice and Fresh Lime. 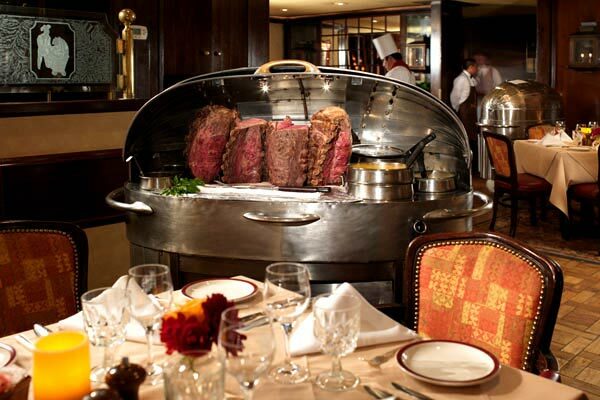 The original House of Prime Rib opened in 1949 and has since become a San Francisco institution known unsurprisingly for its 21-day aged prime rib. Every dinner order comes with a bevy of accompaniments: tossed salad, mashed potatoes or a baked potato, and Yorkshire pudding. 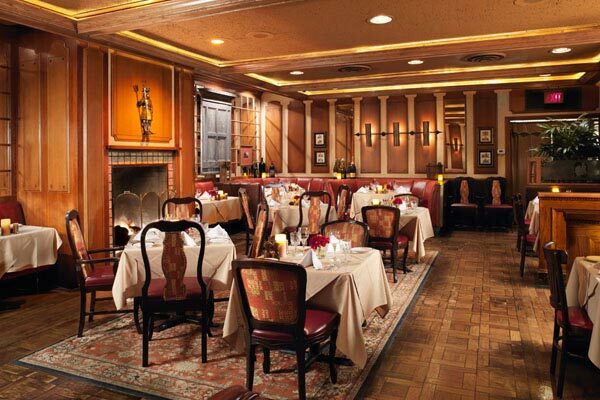 The English-style dining rooms have fireplaces and cozy leather banquettes, making this space as intimate as it is iconic. Best prime rib! The sides are delicious as well. Loved it can't wait to go back. The meal here did not disappoint at all, and if Prime Rib is your thing, this place is heaven. The service is top notch! The portions are huge! 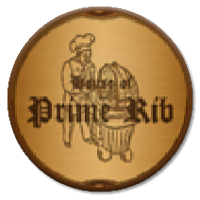 House of Prime Rib is open everyday fo dinner.